Secunderabad division serves four states viz Andhra Pradesh, Telangana, Karnataka and Maharashtra. It has 1490.86 route kilometers and 2277.42 running kilometers track. Out of this 51.94 KMs are in A.P, 1096.28 KMs in Telangana, 162.48 Kms in Karnataka and 180.16Kms in Maharashtra. 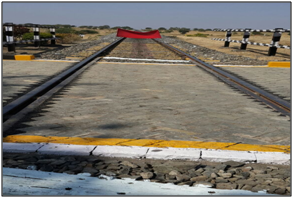 Out of 1490.86 route Kms, 1008.60 KMs of track is electrified. 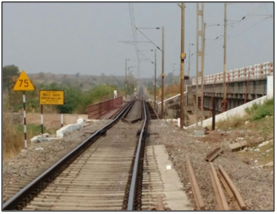 PSR of 75KMPH was relaxed to 100KMPH on the bridge approach at WIRR yard at KM:158/29-158/25 on UP line during 2016-17. 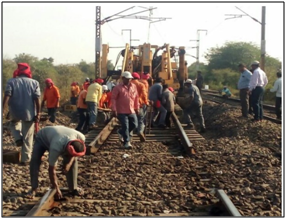 This work was done by slewing of track, shifting of OHE mast and by doing cess work during the current year. Speed in the following sections has been enhanced during the year 2016-17. Speeds in the following yards were relaxed during the year 2016-17. 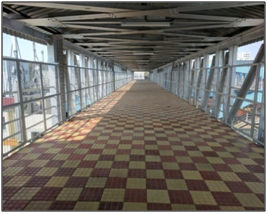 Speed in the following loop lines were relaxed during the year 2016-17. 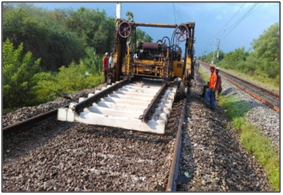 Shifting of Crossover Point No.21A with T-28 machine at KM 463/8-10 near DKJ Bye pass cabin has been completed. 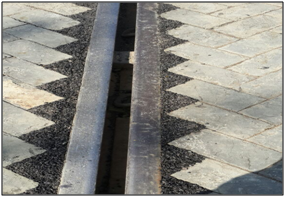 As part of this, correction of misalignment due to short length Crossover by 4 meter has been carried out. 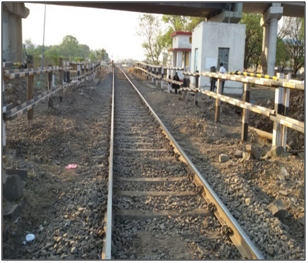 This improves the riding comfort on both UP&DN lines and safety parameters on crossover for traffic towards Manuguru. 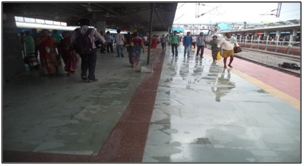 Continuous efforts are being made to relax the PSRs in the division. As many as 14 PSRs were relaxed during the last two years. 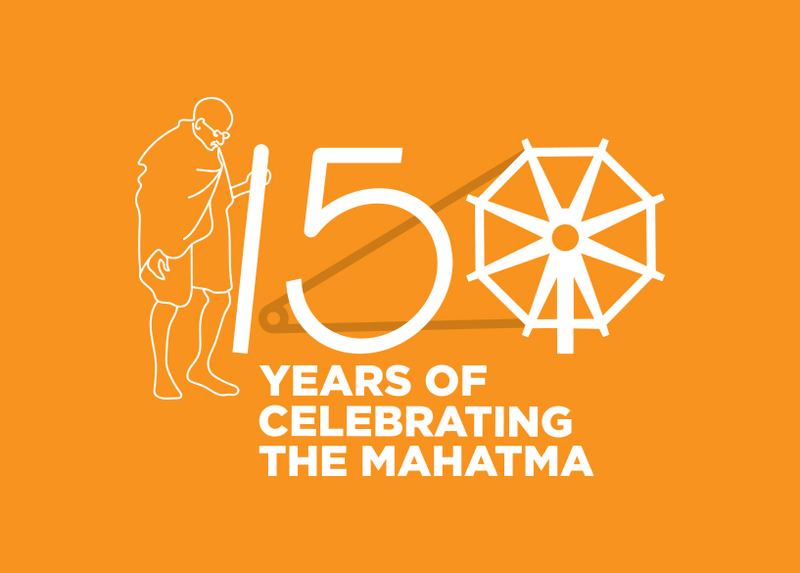 CTR(P): Division has achieved a progress of 44.79 TKM as against annual target of 41.94TKM .The percentage of performance is 106.79%. TSR(P): Division has achieved a progress of 21.020 TKM as against annual target of 20.88 TKM. The percentage of performance is 100.67%. 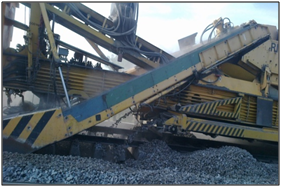 Deep screening of point & crossing by machine: A progress of 23.75 as against annual target of 10.00 was achieved. The percentage of performance is 237.5%. A total of 100Nos of LCs have been closed during the last 4 years . 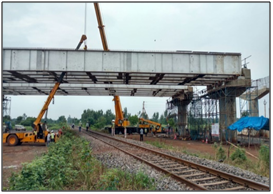 As part of construction of ROB at KM 61/14-15, launching of composite girders (10No.s) of 45metre length each has been completedin between Zahirabad and Matalgunta stations on VKB-PRLI section. 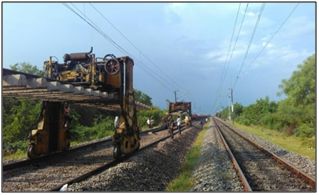 This work was executed by NHAI under Railway supervision as a part of construction of Bye pass line for NH-99(New NH-65) connecting Hyderabad and Mumbai.The work has been completed using 3No.s of 300MT cranes under line block of 3hrs each for 8days. 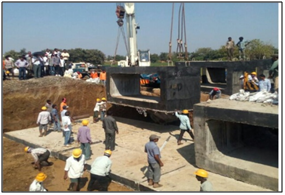 The launching has been done with utmost care duly observing all the work site precautions towards safety. 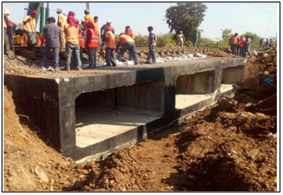 Three FOBs have been completed at Hyderabad and Latur Road and Lingampalli during the year 2016-17 against sanction at three locations. 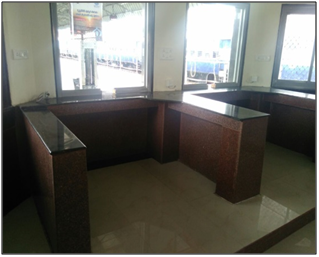 Renovated Booking office for MMTS passengers on PF No.6&7 at Secunderabad station has been inaugurated by Hon’ble MR, Sri.Suresh Prabhakar Prabhu on 29.12.16 via Remote Video link. 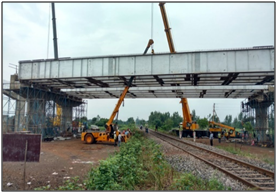 1)Widening of PF No.1 along with vacuum dewatered Platform surface and construction of ornamental wall. 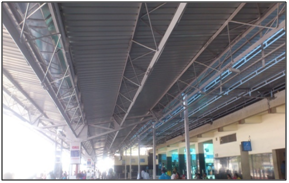 2)Extension of PF shelter on PF No.1 by 170metres. 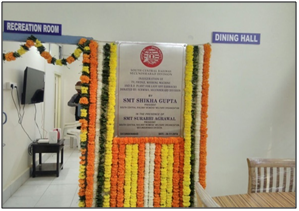 General Manager has inaugurated newly developed Lady RPF barracks at Secunderabad on 26.11.2016. 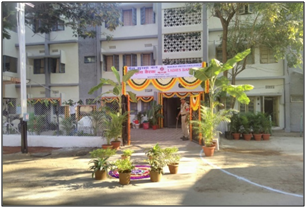 These barracks have been developed by improving existing vacant Type-IV units(3No.s) towards Bhoiguda side of Secunderabad station. 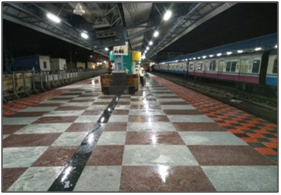 Improvements to PF surface for PF No.6&7 at Secunderabad station with Kota stone salbs and Eurocon tiles duly replacing existing damaged Bituminous surface. About 3500sq.Metre of surface towards HYB end has been improved. 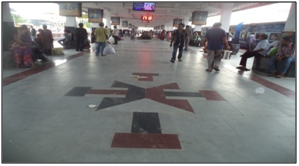 The platform surface at PF No.1&2(Island platform) under PF shelters had beenimproved with granite flooring of about 994sqm &Eurocon tiles of about 426sqm area. 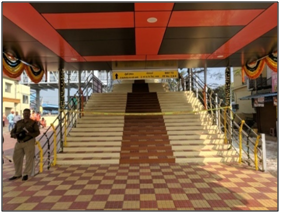 Construction of new combined running room has been completed at Chittapur station on SC-WD section. Non fare revenue collected during the last three years. 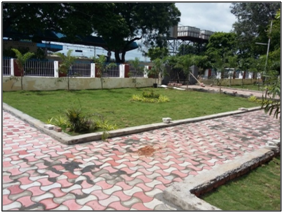 Tree plantation has been done extensively in the division during 2016-17. 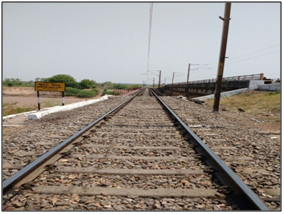 Rehabilitation of weak formation has been done by laying of Geogrid along with BCM for a length of 20.64Kms between Km 545 and Km564. This improved the condition of formation. 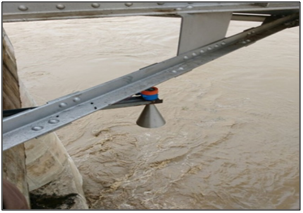 Water Level monitoring system was installed on pier No.5 of Br.298 DN at Km 137/22 between BPQ-MAGH stations for continuous monitoring of water levels in this river. 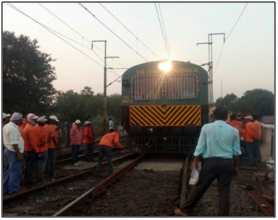 Human life is very precious and this safety equipment will protect the precious lives of Railway staff working along the track. 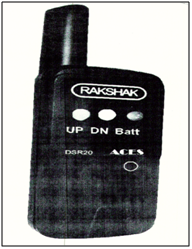 The system consists of portable Up and Down Transmitters and a Digital Signal Receiver (Rakshak). 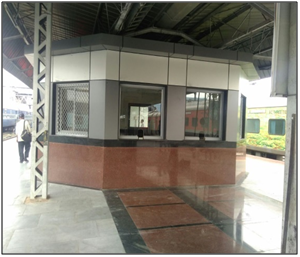 The Transmitter is provided in the Relay Room with antenna to send signals to the Digital Signal Receiver (Rakshak) in the form of Vibrations and Light to the Track Maintainer / Patrolman to ensure his safety. 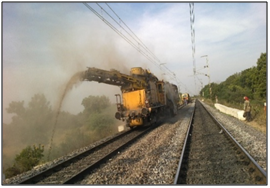 This product has undergone rigorous test trials in Secunderabad – Kazipet section of Secunderabad Division. 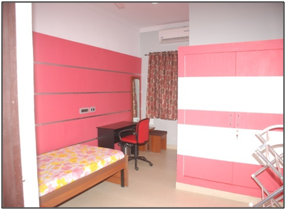 The system is provided in three block sections and it is working effectively. 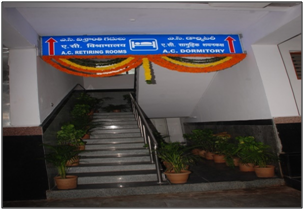 It has been planned to provide the facility to few more block sections during the current year. 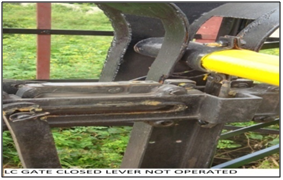 In continuation to the efforts being put in by the division for improvement of safety at all non-interlocked level crossing gates, mechanical boom locking arrangements are provided at all the Non-interlocked manned Engineering gates in the division. 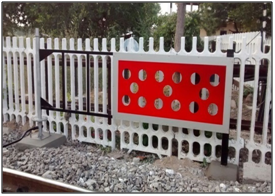 This provision of boom locking arrangements is completed at all the 130 Engineering Manned non-interlocked gates (37 gates under Sr.DEN/North, 35 gates under Sr. DEN/South, 8 gates under DEN/Central, 50 gates under Sr. DEN/West) in the division. RDSO has modified the standard drawing which was originally developed by SC division. 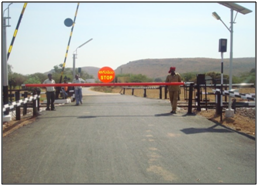 Automatic Banner Flag on manned non-interlocked level crossings vide drawing No. RDSO/T-8416. The banner flag comes across the track as and when lifting barrier is opened to road traffic. 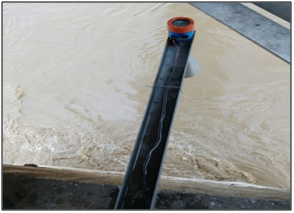 Due to this automation, the manual dependence for ensuring safety is i.e manual pad working eliminated. 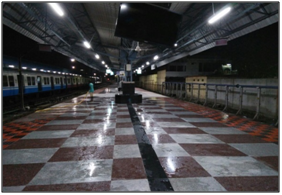 Even during the night, no need of providing any Hand signal lamp since Retro-reflective sheet is provided to the banner flag. 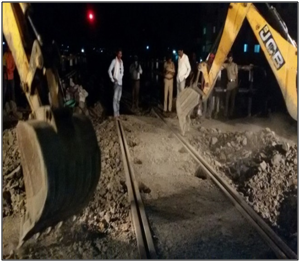 Such arrangement was fixed at LC No.19 at Km.220/20-22 on SC – KZJ section, LC No. BP4 at km 8/18-19 on SNF-MLY Bye-pass line and LC No.69 at Km.224/26-28 on BPQ-KZJ section. 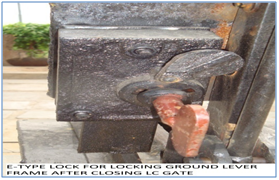 This acts as an emergency gate boom when damage takes place to L.C gate boom. 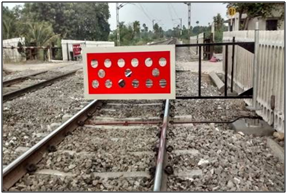 This arrangement is sturdy and replaces conventional arrangement of emergency chain, which has drawbacks such as formation of catenary shape, looseness and less reliability.The performance of this sliding boom is found quite satisfactory and the same arrangement was provided in all level crossing gates. 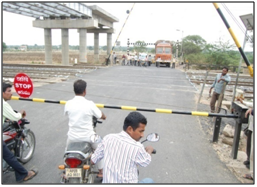 Auto generation of PN’s for Level crossings has been developed byM/s. 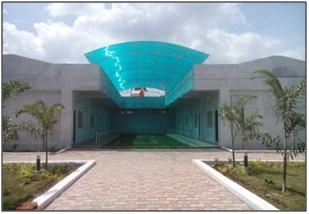 Parameshwary(PMR) Embed Technologies Pvt. Ltd. and this was installed at L.C. No.4 in SNF-MLY section. 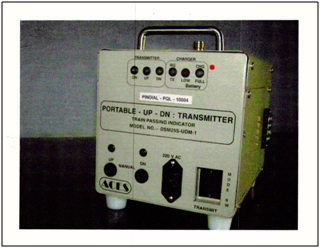 This Device is very compact and light weight machine (less than 500grms). This device helps Gatemen to generate auto PN and saves data to cross check. 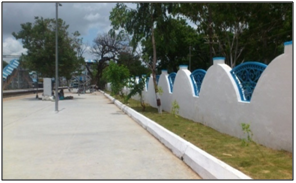 It prevents the gatemen issuing of PN without closing gate. 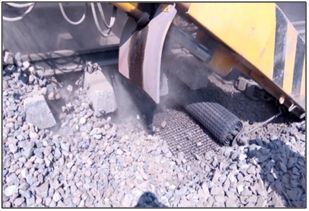 As a part of innovative method of improving road surface, LC No.80, 85 & 91 in SSE/PWay/UDGR section were provided with sturdy/heavy/durable material i.e., Granite stone bricks. 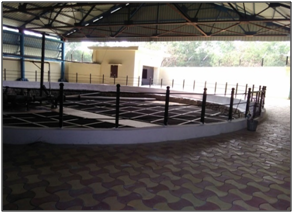 Alugadda Bavi open well was constructed and commenced during 2003-04.The dia of the well is 14.50 mts and depth of the well is 14.00 mts.The pipe line system was laid from well to existing RCC overhead tank of capacity 2.50 Lakhs litres. From last 4 to 5 years the area is dumped with debris and un-social activities are taking place. 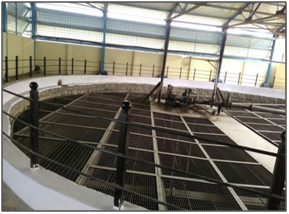 The area was developed with gardens and open well was deepened, and well was covered with the grill.Yield of water has increased due to deepening of the well. Secunderabad is the only division which has implemented E-tendering fully from 01.04.2016 as per Railway Board guide lines. 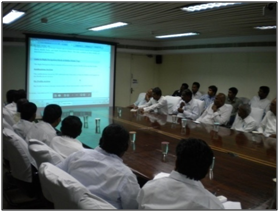 As part of awareness on E-Tendering, a seminar was conducted at DRM Conference hall, Sanchalan Bhavan with staff and Contractors. As many as 118 no’s of tenders have been called by E-Tendering during the year 2016-17. 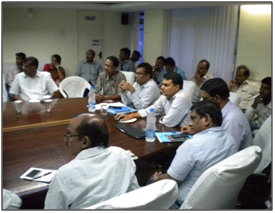 First division to introduce GPS tracking for live monitoring of movements of Night Patrolmen and trolley inspections.